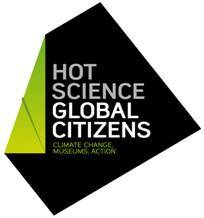 Next week I’m travelling to Sydney to participate, as a ‘provocateur’ in the Hot Science, Global Citizens Symposium, held at the Powerhouse Museum. I’m taking part in a session called Creative Agency and Programming in Museums and Science Centres with Seb Chan, Wayne LaBar, Tara Morelos & Declan Kuch. I’m also hoping to do one or more City As Material/Anarchaeology events whilst I’m there – more on that soon. In Proboscis’ work we rarely address problems like ‘Climate Change’ head-on. As artists we feel empowered to raise questions but cannot claim to have definitive answers or solutions. Our practice is to entice, provoke, humour and challenge, not to preach or claim authority. However, change is a constant feature of history and how humans respond to it reflects our social and cultural adaptability, the dynamism and resilience of our cultures and civilisations. By creating projects that provoke dialogue within and across communities we hope to challenge some of the powerful, and often misleading, nostrums of our age; to pause and reflect before we commit ourselves to unequivocal outcomes. What we offer is critical dissent; what we hope is that people are inspired and empowered to shape their own responses, to weave their own patterns within the changes that surround them. Panelists will address key aspects of creative thinking and creative practices about climate change, discussing their own projects and visions on climate change in response to some of the key themes being addresses by the HSGC ARC Research Linkage Project in order to stimulate debate around climate change. Possible themes may include: climate change and citizen engagement; artist-led projects on creative mitigation and environmental education; creative strategies for audience engagement and civic participation; developing awareness campaigns and critical consciousness on climate change action; the role of interactive and pervasive technologies for collaborative initiatives and local community engagement on climate change, such as sensor technologies, alternate reality games, social media, smart phone apps, GIS mapping, etc. Speakers are invited to present ideas for museums/science centres creative programming design and to offer their views on opportunities of transdisciplinary and collaborative research. Climate change is an environmental, cultural and political phenomenon that is reshaping the way we think about ourselves, our societies and humanity’s place on Earth. This symposium presents the research findings of the Australian Research Council international Linkage project, Hot Science, Global Citizens: the agency of the museum sector in climate change interventions along with other leading research to develop new knowledge about what constitutes effective action around climate change, the critical roles that institutions can play and visions for the future of museums and science centres. The second day will feature an ‘unconference’ session to tease out innovative programming ideas and engage participants in discussions. Partner organisations and researchers: Museum Victoria, Melbourne; Powerhouse Museum, Sydney; Australian Museum, Sydney; Questacon, Canberra; Liberty Science Center, Jersey City, US with the University of Melbourne, Earth Sciences and the School of Museum Studies, University of Leicester, UK.